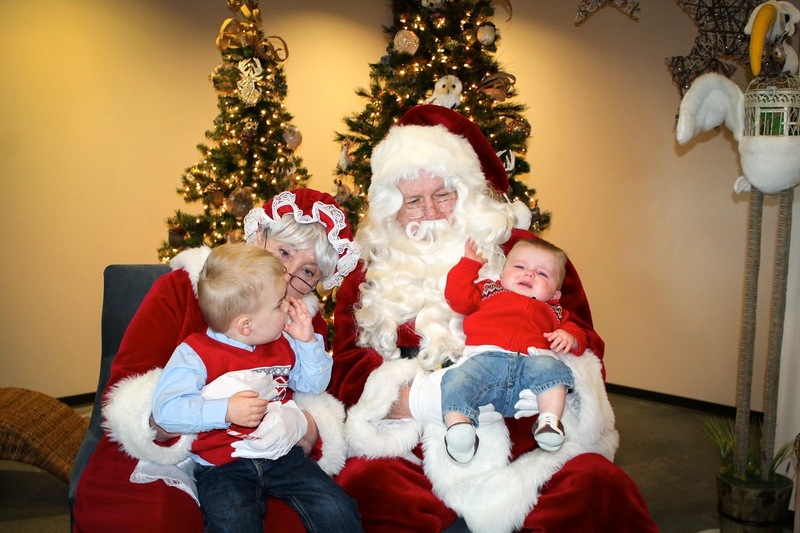 This year, we had not one, not two, but three visits with Santa! Or as I like to call it, two "practices" before the "please-cooperate-for-one-decent-photo" visit. 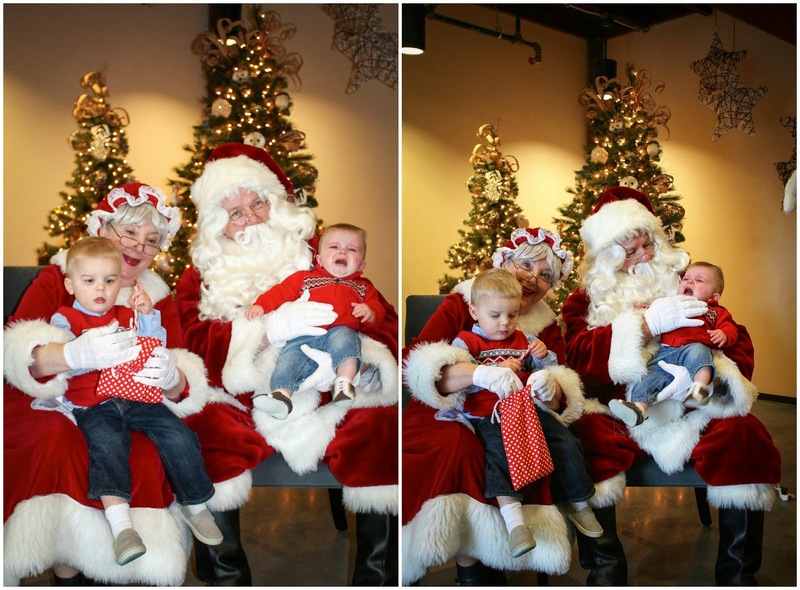 For the past two years, we've gone to see Santa at Crown Center (2012 | 2013), but for whatever reason, we weren't feeling it this year. It's always a pain to park, fight the crowds, and wait in line for a rushed and overpriced photo with the jolly old man. So instead, this year opted for a couple of new locations. We headed to the new Prairie Fire for our first visit with Santa Claus on the Sunday following Thanksgiving. I had seen on Facebook that Santa would be hanging out there for the day and I figured it was a bit less popular of a place than the festive Crown Center. Less popular it was...there was no line and we had to wait for Santa to return from his afternoon break! Holden, on the other hand, did not want any part of it. Poor guy cried the second we handed him over to Santa! My preference would have been to keep him on Santa's lap, so I could attempt a picture of Brantley looking at the camera, but we felt bad for Santa and inevitably came to the rescue of the screaming baby. Side note: The Santa set-up was great and all, but they didn't take your photo, which I thought was a disappointment. 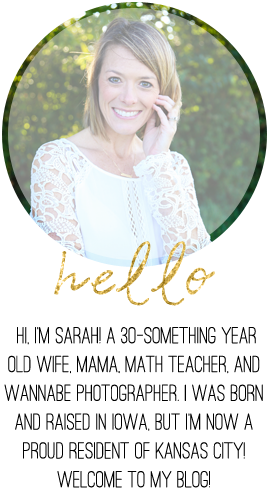 So, here are the sub-par photos I snapped very quickly while also trying to calm the kiddos. 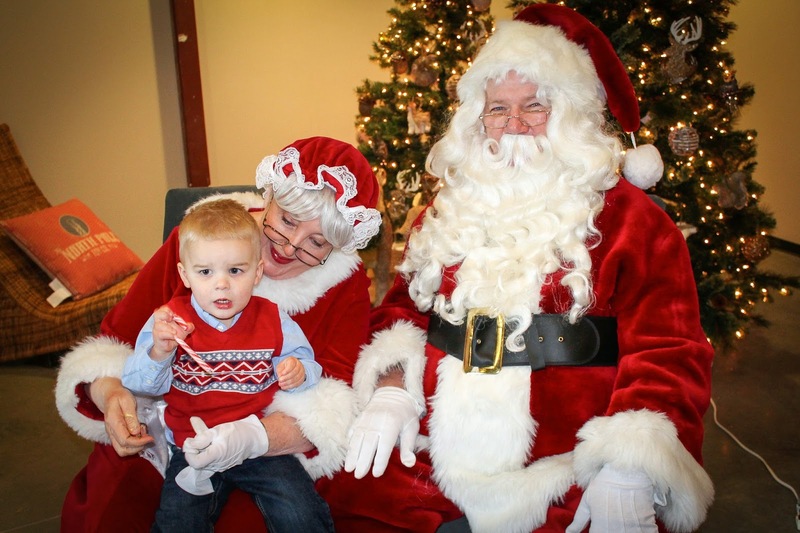 Our second visit with Santa was at our neighborhood Christmas gathering and sleigh ride. 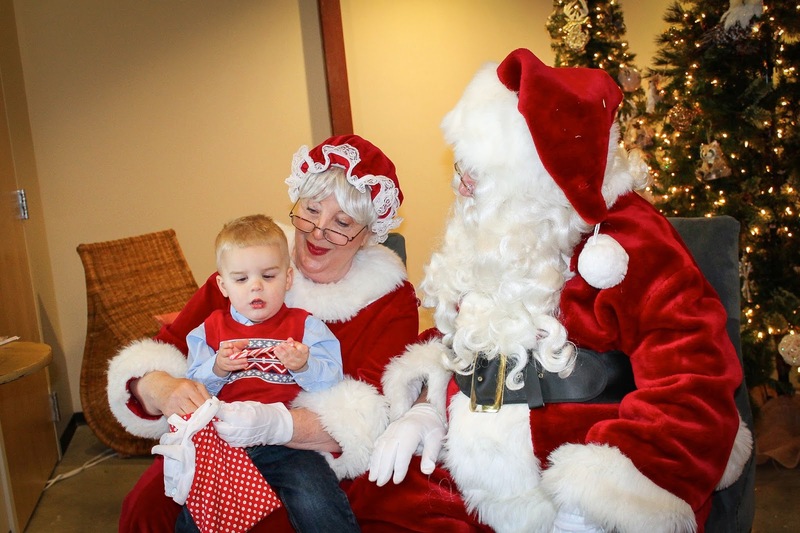 Having met Santa once already this year, Brantley was really interested. We stood in line for about ten minutes and Brantley watched the other kids sit on Santa's lap from the front row about five feet away. He was so excited for "his turn". You'd never know, however, because when it was "his turn" and I was trying to snap a picture, I couldn't get him to smile for anything! #comeonkid! Holden had about the same reaction as before. Only this time, it took him about 20 seconds to realize who was holding him and about 21 seconds to scream for mama. The progression of these photos below are hilarious! 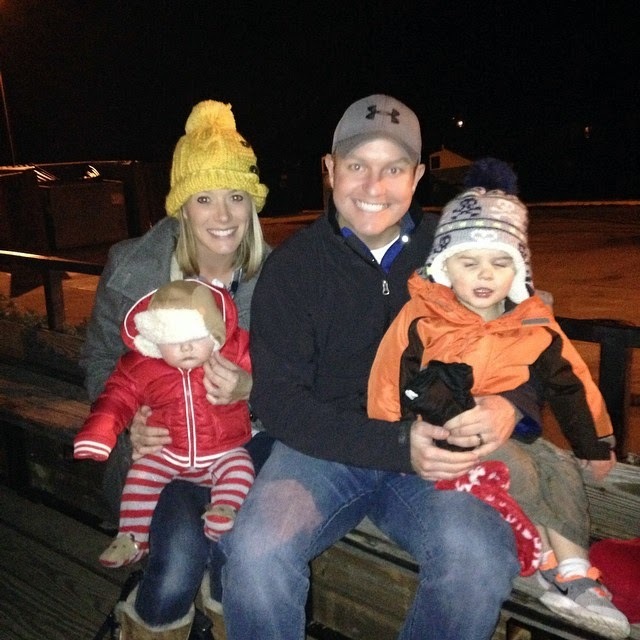 And while I'm at it, here is a family photo on the sleigh ride we took before meeting Santa. We might be dressed for cold weather, but it was a whopping 50 degrees that evening! Despite our two meetings, I still didn't have a decent photo to update my frame, so I insisted on going a third (and final) time to visit with Santa. I had heard that Von Maur had a Santa and that the Santa was very real. I had also heard that they gave you a free 5x7 photo - no strings attached. Perfect. I packed up the boys on a Saturday afternoon (after naptime), and with fingers crossed, we headed to Von Maur. We waited for 20 minutes, took our turn, and left with a photo in hand! 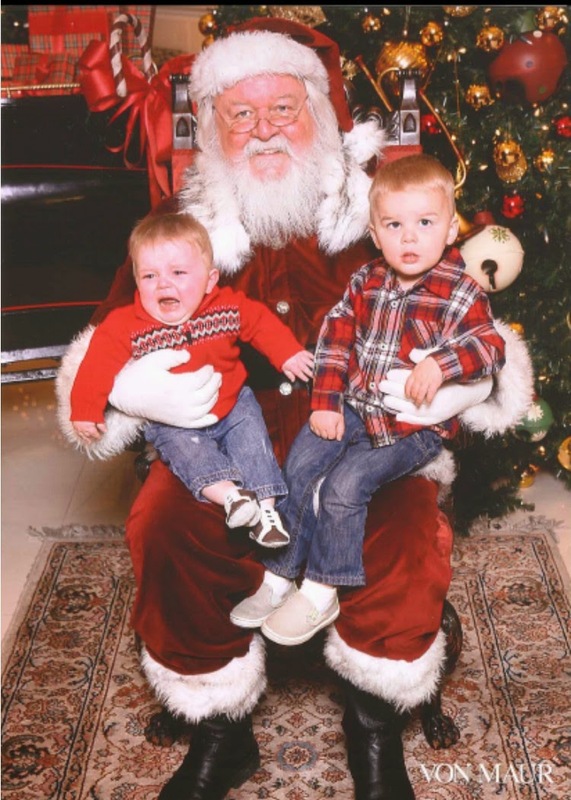 Brantley still didn't smile and Holden still was terrified, but Mama was happy because she got her photo. And just for fun, here are our photos from each year since Brantley was born. I can't wait to continue this fun tradition!